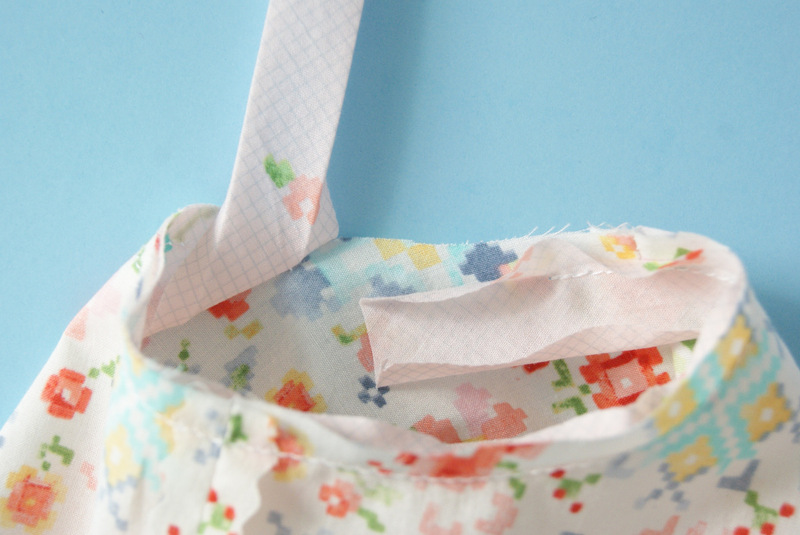 The following tip is included in the Tea Party pattern, but I wanted to pull it out and highlight it. 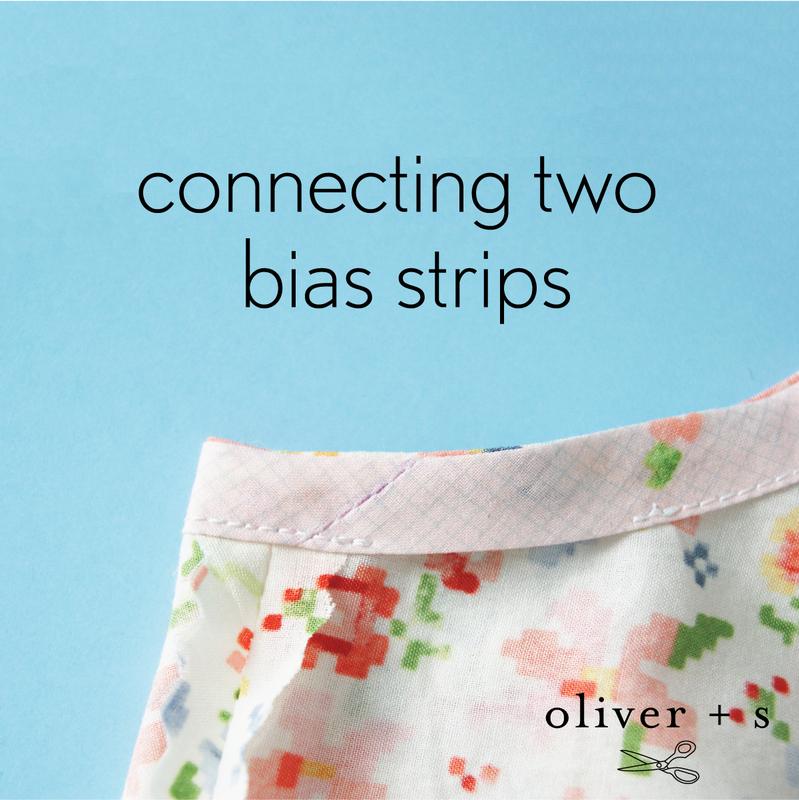 I was sewing up a bunch of darling Tea Party Bloomers recently and used this method to join the bias binding in the round for the leg openings on the bloomers. It’s a really slick technique. 1) Open out the ends of the binding. 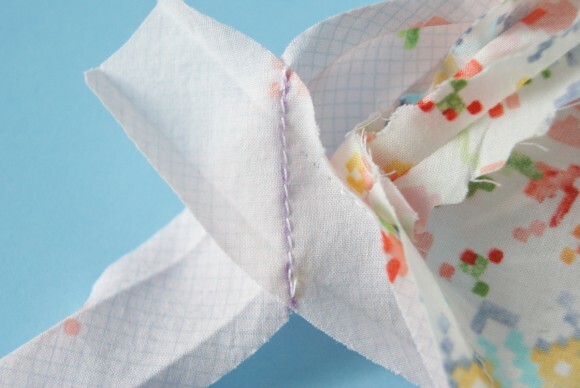 2) Fold each end to form a 45 degree angle. 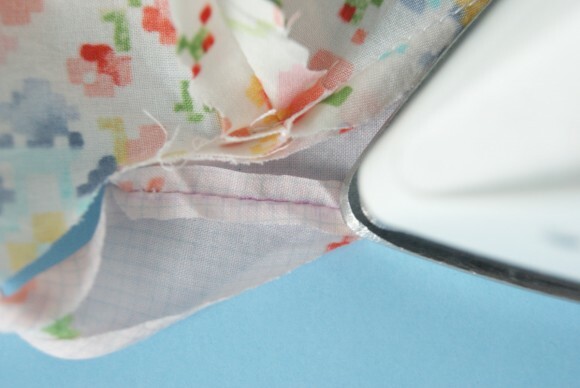 3) Crease the folds where they meet. 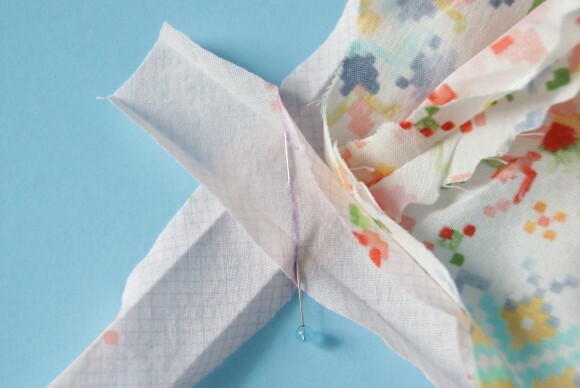 4) Open the two creased folds. 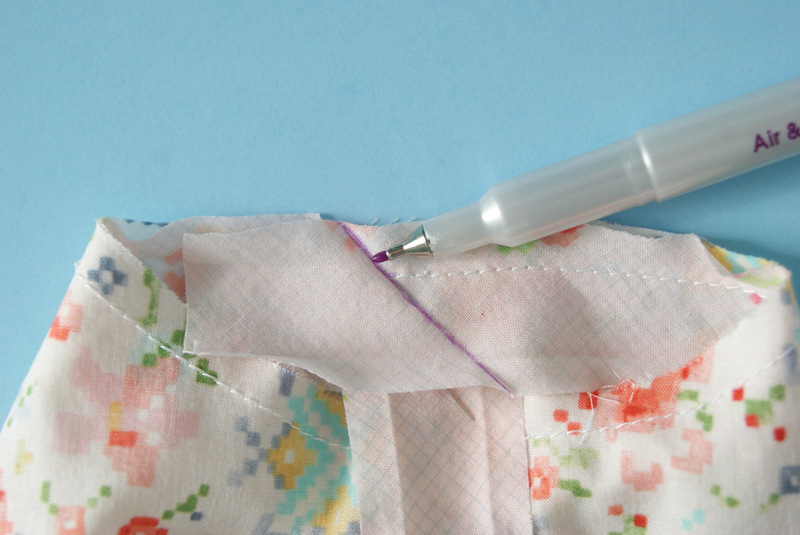 It can be helpful to mark the inside of the creases with a fabric marker. 5) With right sides facing, match the fold lines to each other. 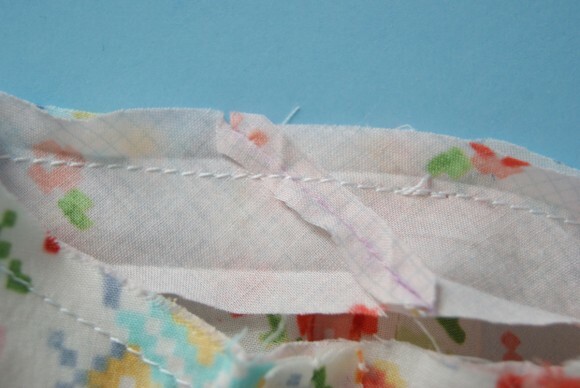 6) Stitch the fold lines, creating a diagonal seam. 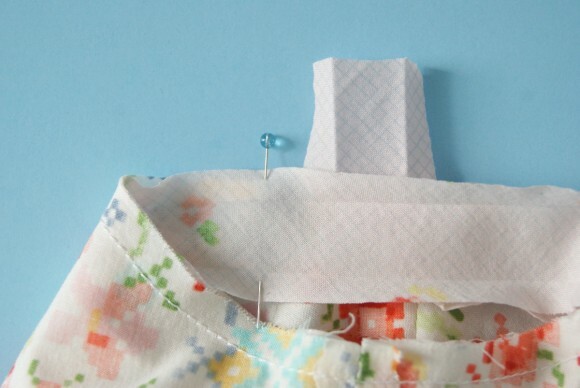 Check to be sure the length is good and adjust the seam allowance if necessary. 7) Trim the seam allowances. 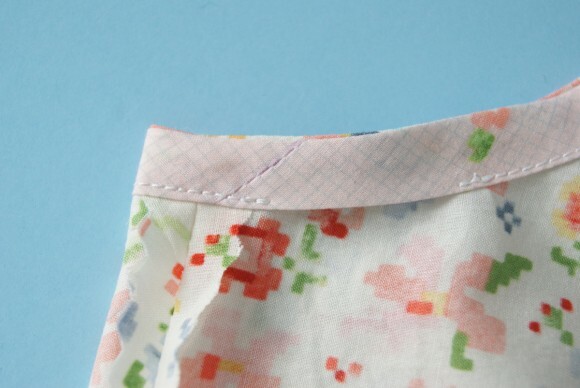 8) Press the seam allowance open. 9) Finish sewing the bias tape to the garment. 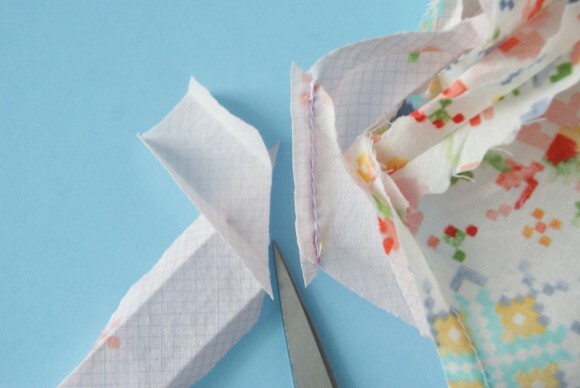 10) Refold the bias tape and finish your project. If you have any specific questions about this tutorial just let me know in the comments below. If you are interested in a bloomers only pattern, you’re in luck! The Seashore Bloomers is available as a singles pattern and comes in sizes 6 months through 4 years. 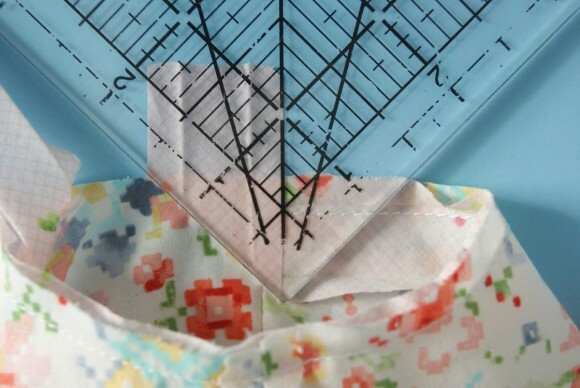 Quilters use this method when binding their quilts. 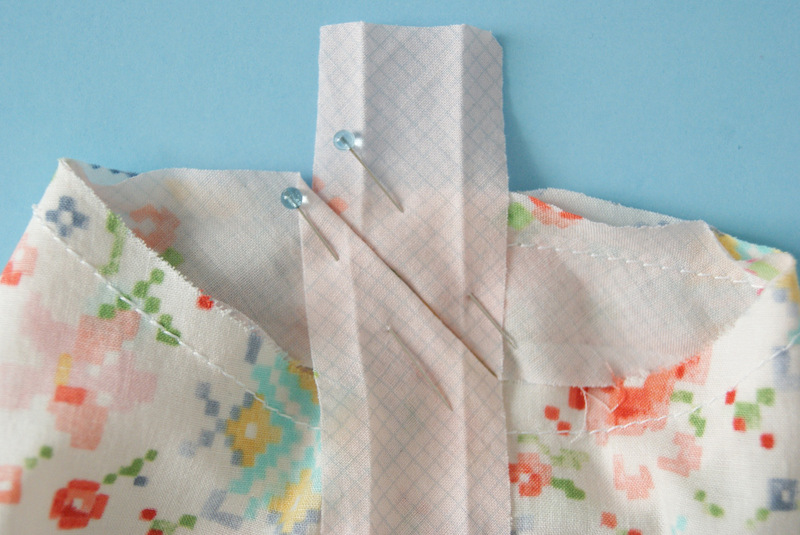 I find that a bit of fabric glue is helpful rather than using pins for steps 3 & 4 as you often are working in a small area. 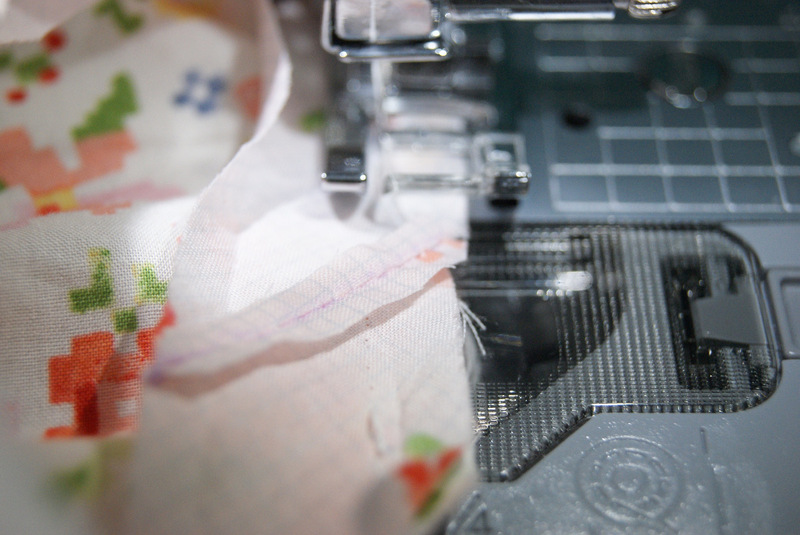 Just heat set the glue with your iron & it will hold well. Fabric glue will be removed when garment is washed. Easy peasy & no pin pricked fingers!! Thank you so much! This can exactly at the right time for me. I was just getting ready to search the net for this. Excellent, no more bulging for me. Me please the name of the fabric in the main photos please? All of the fabrics pictured are Woodland Clearing by Liesl Gibson for Robert Kaufman.